Drive up to the entry barrier where the Automatic Number Plate Recognition (ANPR) will recognise your number plate and the barrier will raise. Find a parking space and walk the short distance to the terminal. Make your way back to the car park via the walkway. Once you have arrived back to your vehicle, drive up to the exit barrier and the ANPR will recognise your number plate and the barrier will raise automatically. CCTV, floodlighting and entry/exit barriers. Car park that operates Automatic Number Plate Recognition System (ANPR), for simple entry and exit. 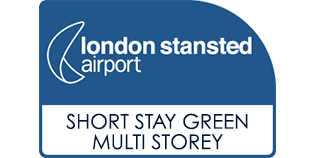 Short Stay Green Multi-Storey offers affordable parking within walking distance of the terminal, meaning there is no need for a bus transfer.